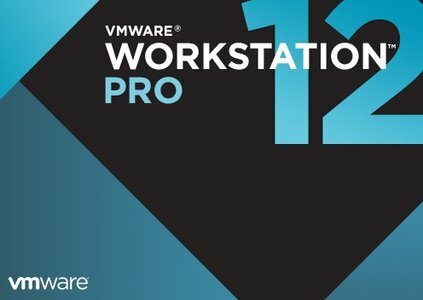 VMware Workstation 12 Pro continues VMwares tradition of delivering leading edge features and performance that technical professionals rely on every day when working with virtual machines. With support for the latest version of Windows and Linux, the latest processors and hardware, and the ability to connect to VMware vSphere and vCloud Air, its the perfect tool to increase productivity, save time and conquer the cloud. Workstation 12 Pro now supports DirectX 10 and OpenGL 3.3 delivering a more fluid and responsive experience when running 3D applications. With these added capabilities you now have access to all the applications that require Direct X10 such as Microsofts Power Map tool for Excel, allowing you to visualize data in a whole new dimension. In addition, Workstation makes running highly demanding 3D applications like AutoCAD or SOLIDWORKS a snap in a virtual machine. With Workstation 12 Pro, you can create virtual machines with up to 16 vCPUs, 8 TB virtual disks, and 64 GB of memory to run the most demanding desktop and server applications in a virtualized environment. You can give graphics intensive applications an additional boost by allocating up to 2GB of video memory to a virtual machine. Take advantage of the latest Intel based tablets with Workstation virtual tablets sensors. Leverage the latest Microsoft Surface tablets with Workstations virtual accelerometer, gyroscope, compass, and ambient light sensor to enable applications running in the virtual machines to respond when a user moves, rotates, and shakes their tablet. Whether you are running on a laptop, tablet, or desktop, Workstation 12 Pro supports the latest Intel 64-bit x86 processors, including the Broadwell and Haswell microarchitecture for maximum performance.